! !Due to latest USB 3.0-technology you are going to be on the fast lane!! photos, videos, music or even text files at an unprecedented speed of up to 5 Gbit/s. little. Enhance your enjoyment of even faster and more efficient data transmission. USB 3.0 devices such as card reader, printer, scanner, MP3-Player etc. 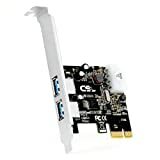 to this PCI-express card. Hi Quality RJ45 Ethernet Networking Cable. Flexible for ease of use and cornering. 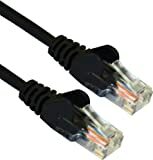 Suitable for All Networking, home and office, and for all broadband connections and for use with all routers and smart TV’s ect that require hard wiring.